The administrative district (Landkreis) of Bad Tölz-Wolfratshausen is located immediately to the south of the city of Munich. The town of Lenggries is located about 70 kilometres south of Munich. Schloss Hohenburg is located on Hohenburgstrasse just to the south of the town of Lenggries in the village of Hohenburg. The castle was bought by Duke Adolph of Nassau (later Grand Duke of Luxemburg) in 1870. 1 For many years it was the summer residence of the Grand Dukes of Luxemburg. Queen Antonia's sister, Grand Duchess Charlotte of Luxemburg, sold the castle in 1950. 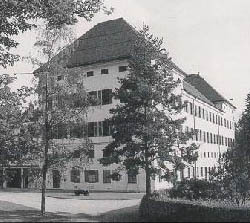 Today it houses two girls' schools owned by the Archdiocese of Munich and Freising: the Mädchenrealschule St. Ursula and the St.-Ursula-Gymnasium. Princess Sophie attended the Mädchenrealschule St. Ursula from 1980 until 1984. 1 Jean-Louis Schlim, Schloss Hohenburg:die nassauisch-luxemburger Residenz in Bayern (Oberhaching: Aviatic, 1998). 2 The Apostolic Nuncio to Germany, Archbishop Eugenio Pacelli, later Pope Pius XII, administered the sacrament of baptism; cf. Irmingard Prinzessin von Bayern, Jugend-Erinnerungern, 1923-1950 (St. Ottilien: EOS, 2000), 35. 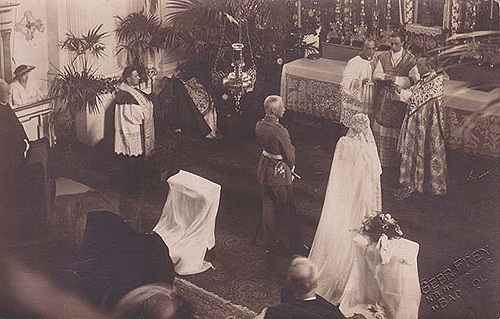 Princess Irmingard incorrectly states that Princess Editha was baptised at Berchtesgaden. 1 Kurt Sendtner, Rupprecht von Wittelsbach, Kronprinz von Bayern (München: Richard Pflaum, 1954), 456. The chief witness of the marriage was the Apostolic Nuncio to Germany, Archbishop Eugenio Pacelli, later Pope Pius XII. 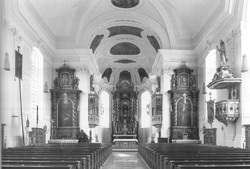 Image 1 (Interior): Georg Paula and Angelika Wegener-Hüssen, Landkreis Bad Tölz-Wolfsratshausen, Denkmäler in Bayern, Band I.5 (München: Karl M. Lipp, 1994), 377. This page is maintained by Noel S. McFerran (noel.mcferran@rogers.com) and was last updated February 14, 2006.